In May we are spotlighting books by Eric Carle! Last week we shared a fun Very Hungry Caterpillar Name Game and today we are excited to share a simple butterfly craft inspired by The Very Hungry Caterpillar by Eric Carle. 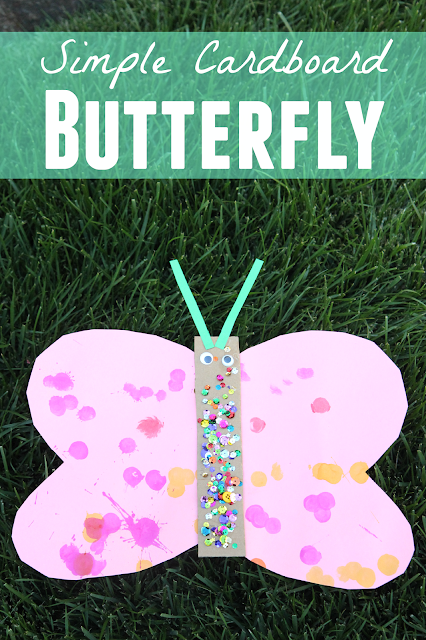 This was seriously the easiest activity ever and we loved reading The Very Hungry Caterpillar book over and over again AND watching the movie on Netflix too. While I was working with my preschoolers on our Very Hungry Caterpillar Name Game I needed to keep my toddlers occupied... so I grabbed some do-a-dot markers and big pieces of construction paper and told the toddlers to start painting on the paper. Once the large construction paper was covered in paint and dried, I folded each paper in half and cut it to make butterfly wings. Next the kids helped glue their large strip of cardboard down the center of the butterfly to make a butterfly body. 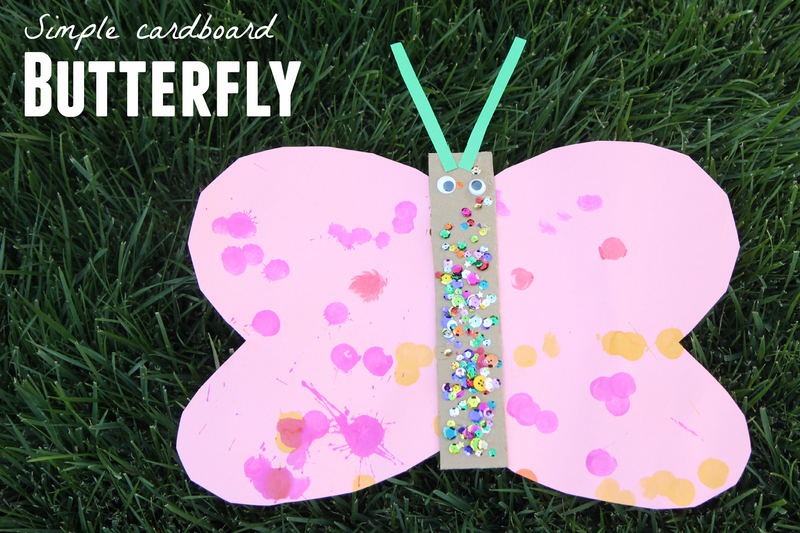 After that we added glue and the kids covered their butterflies with sequins and googly eyes. Both toddler boys were big fans of the sparkles! We shook the sparkles all over their glue and then we added little strips of paper to the top of the butterfly heads to make antennae and then we let our projects dry! Once they dried we shook off the sparkles and had beautiful sparkly butterflies! 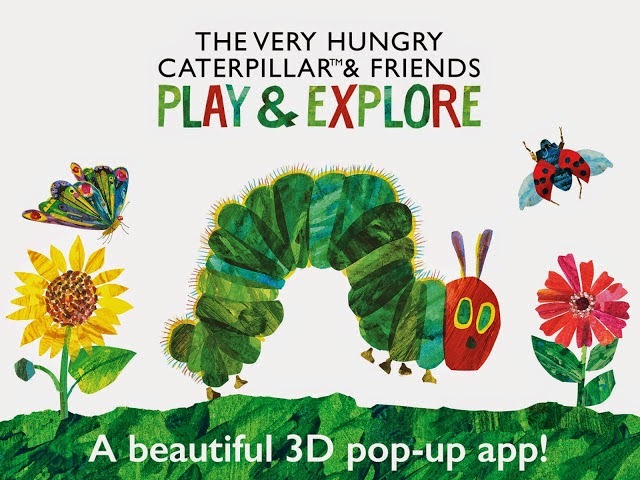 If you like the Very Hungry Caterpillar, don't forget to enter our fun giveaway for the Very Hungry Caterpillar & friends Play and Explore App. Only one day left to enter!